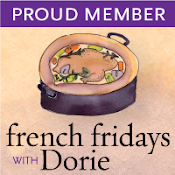 This week’s French Fridays with Dorie recipe is for these incredibly elegant, delicious, and easy-to-prepare scallops. The caramel-orange sauce was the perfect complement to the slightly sweet scallops. 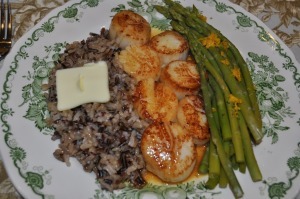 The addition of wild rice and steamed asparagus really set off the texture and flavor of the scallops with the sauce. If you’re looking to “Wow” someone, this is the perfect meal! 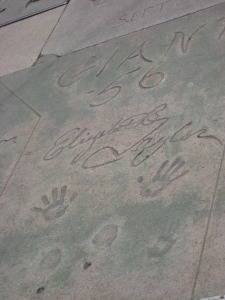 I happened to be in Hollywood on the day Elizabeth Taylor passed away. 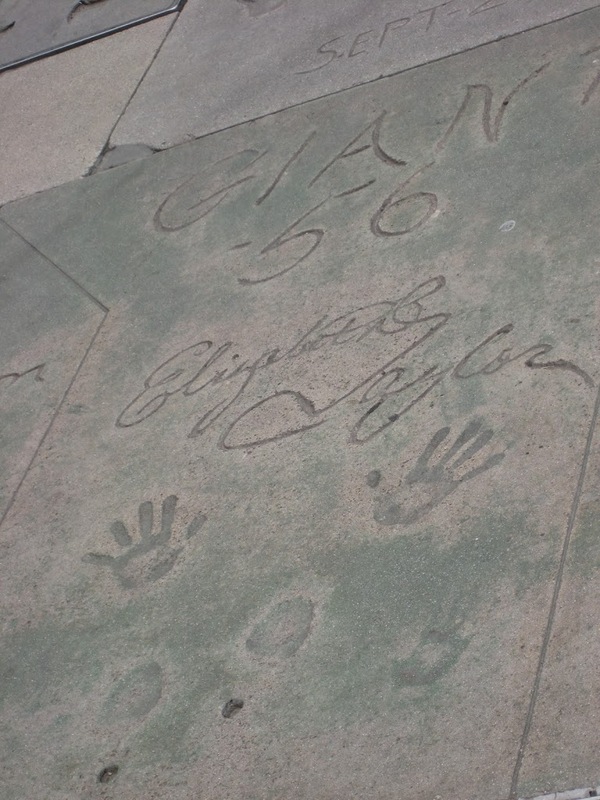 Goodbye to the Queen of Tinseltown! Your dinner looks fabulous…great accompaniments! Great minds! Love the picture of Elizabeth’s Star!! She definitely was the Queen! Enjoy your week-end! Very nice. 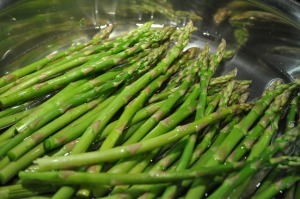 Love the rice & asparagus combo with them. I am sure everything played off each other very pleasantly. 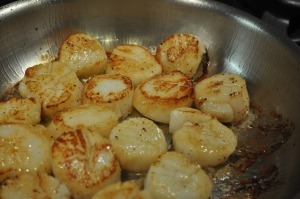 Tricia and her family enjoyed the recipe. I watched an old movie with Liz to celebrate her life…great actress. 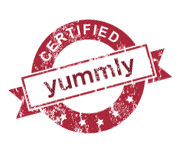 And…your meal is wonderful! 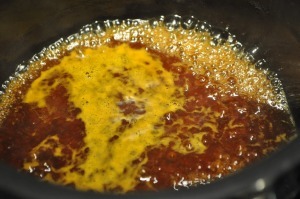 Looks perfect and your process photos are great…I can see them simmering and sizzling and it all looks really yummy. Another amazing meal by Susan! You really know how to put the parts together to make something truly gorgeous. I’m often stumped by matching the side dishes. Your plate are always so well put together. Nice photos – it’s great to have such an easy, impressive recipe in one’s repertoire. I agree this is a great Wow dish! 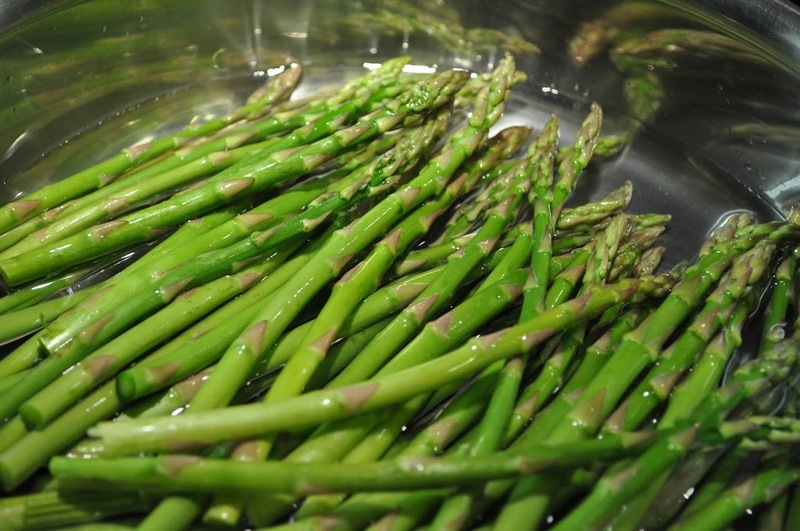 Agree with you: this recipe is elegant [and so easy to make!] love the color contrast between the scallops, asparagus and wild rice. Good job! 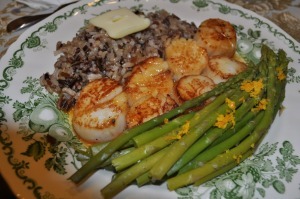 Caramel and orange sauce makes the scallops taste good.